Napa vacations in beautiful Napa Valley. Vacation and relax with wine tasting, spa and massages in the best wine country in California. Napa valley is most famous its wine tasting and wine tours, but if offers so much more - hot air ballooning, massages and mud baths, bike rides through a beautiful valley, many fine restaurants and hotels. A northern California vacation should include a trip to Napa Valley, just a short trip north of San Francisco, CA. Your Napa valley vacation should be romantic and relaxing. Take the time to enjoy a mud bath, wine tasting at your favorite wineries, or a nice bike ride along the Silverado Trail. This is one of my favorite vacation spots in California, and it makes a great weekend getaway from San Diego and Los Angeles areas in southern California. 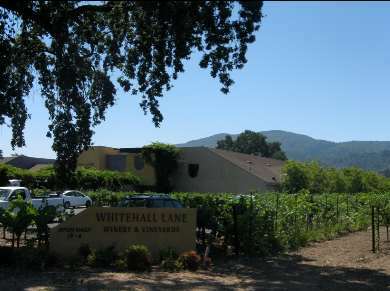 There are many Napa Valley wineries that are open to the public for wine tasting and tours. Napa Valley gets more beautiful at the northern end of the valley, and less crowded, so my favorite place to visit Napa Valley wineries are between Yountville and Calistoga. 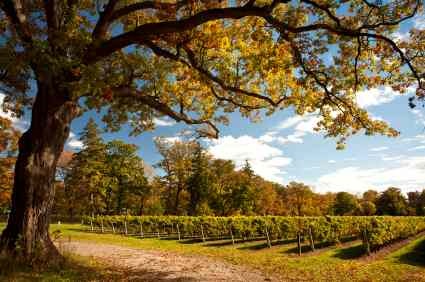 There are many wineries that you can visit on your own. Just drive along highway 29 or the Silverado trail, and stop and explore. You can also choose a limousine wine tour of Napa, California, which is a great way to tour some of the popular wineries and not worry about drinking and driving. 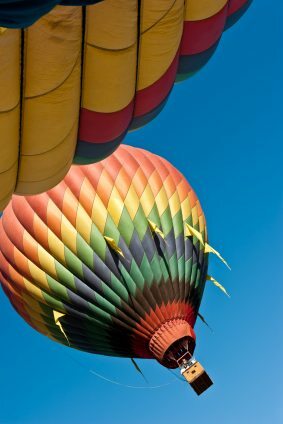 One fun (but expensive) thing to do for your Napa Valley vacation is Hot Air Ballooning. Napa Valley offers spectacular scenery from the air. The morning breezes along the mountains allow you to soar above the valley, and see the panoramic views of the vineyards and small towns in Napa Valley. Napa Valley is famous for its romantic hot springs and mineral baths. Most of these are located in or near Calistoga, at the northern end of Napa Valley. These Napa Valley resorts offer warm mineral pools, whirlpool baths, mud baths, aroma therapy, facials, and mud baths. You will be refreshed and relaxed! Most facilities offer coed mineral pools but separate men's and women's rooms for whirlpool therapy, mud baths and massages, but some do have couples rooms for that romantic celebration. A mud bath or massage is a great experience for your Napa vacations. There are many excellent restaurants in Napa Valley. Here are a few favorites, all recommended by locals. Bouchard Restaurant in Yountville. Excellent French Bistro. Sunshine Market in St. Helena. A great place to grab all the fixings for a picnic lunch. The Model Bakery in St. Helena and Napa. Simply yummy. Armadillos Mexican Restaurant in St. Helena. Fresh Californian Mexican food. Napa Valley is located approximately 75 miles north of San Francisco, and is east of Sonoma Valley. When you arrive int eh valley, the scenery is quite nice from Yountville to Calistoga up highway 29, or along the Silverado Trail at the eastern side of the valley. If you are flying to the area, you can fly into Oakland airport, San Francisco airport, or Sacramento airport then drive approximately 1 1/2 hours up to Napa Valley. The trip makes a nice weekend getaway from both northern and southern California.